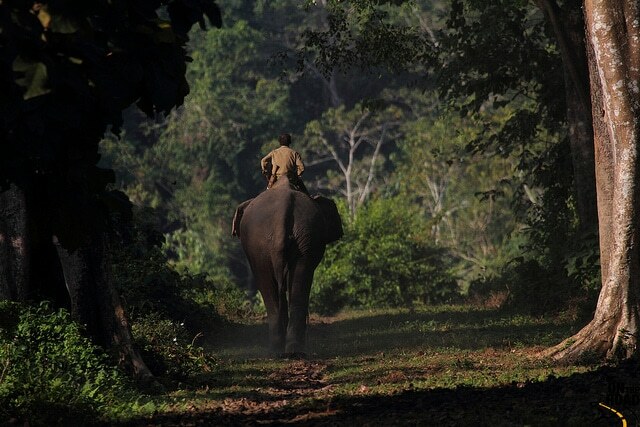 Lying in the lap of Eastern Himalayas, the Nameri National Park is located in the Sonitpur district of Assam, India. At the northern border, it adjoins the Pakhui Wildlife Sanctuary of Arunachal Pradesh, spanning across a combined area of 1000 sq. km. This huge land is abode to an enormous diversity of mammals, reptiles, birds, marine life and butterflies! The scenic beauty of this land is unmatched. As the Jia Bharoli river makes its way cradled amidst thick forests and Himalayan peaks, it is like a dynamic painting standing in front of you. This place has it all: adventure activities, bird watching, a walk through the woods and wildlife tours. You ought to be here to witness such awesomeness. The climatic conditions are normally dry at Nameri except for the rainy showers during the months of October and April. The winter season is quite pleasant, but temperature can drop drastically during the months of December and April. The best time to visit Nameri is around November to March. Nameri National Park is home to as many as 30 species of mammals including a good population of elephants, tigers and leopards. The carnivores find their prey among the clans of sambar, hog deer, wild boar, langur and the Malabar giant squirrel that can be found roaming through the forest. Blank Panther, Sloth Bear, Himalayan Black Bear, Fox, Hispid Hare, Slow Loris, Bison, Rhesus Macaque, Flying Squirrel etc can also be found at Nameri. This wildlife hotspot in Assam is said to be a paradise for bird lovers or wildlife photographers, for this is where you can a bewildering variety of 315 species of exotic as well as endemic avian fauna! 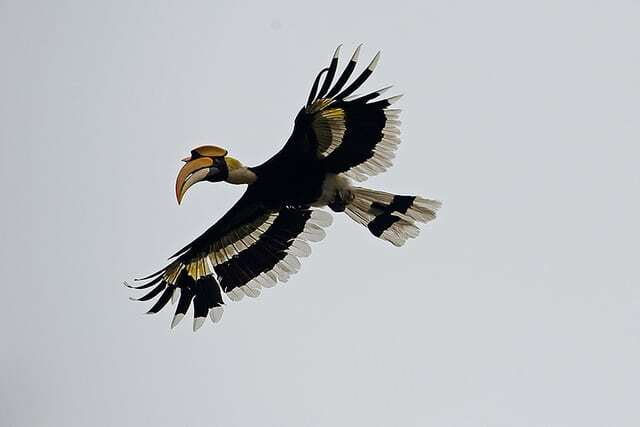 These include the endangered White Winged Wood Duck, Great Pied Hornbill, Large Whistling Teal, Three Toed Kingfisher, Hill Mynah, Pin Tailed Green Pigeon, Common Mergernser and many more others! A variety of turtles including Malayan Box Turtle, Assam Roof Turtle, Asian Leaf Turtle, Indian Soft Shelled Turtle and Keeled Box Turtle etc can be spotted here. The snakes that can found slithering through the forest include King cobra, Pit Viper, Rat Snake, Python and Krait. Of the known 1501 species, almost 50% of these ‘living jewels’ are believed to drink nectar off Nameri flora. These butterflies add to the scenic beauty of this national park. The Vegetation of Nameri consists of semi-evergreen and moist deciduous forests with cane and bamboo strips. Patches of open grasslands can be found along the riverbeds. Epiphytes, Lianas and Creepers can also be found here. A variety of Orchid species can also be spotted here. By Air: Flights have been withdrawn Tezpur Airport. Therefore, it is advisable for you to land at either Guwahati Airport of Jorhat Airport (200 km) and then travel to Tezpur by Road. By Rail: Nearest railway station: Guwahati. By Road: Buses and taxis are available at Tezpur towards the Nameri National Park. Wildlife tour through the park accompanied by rafting across the Jia Bharoli river, Birding tours and elephant rides are the activities organized for visitors. You can also visit the adjoin Pakhui Wildlife Sanctuary or the famous Kaziranga National Park, which is about 90 km from Nameri. A variety of accommodation options are available depending on whether you want a luxury bungalow, a cottage or a camp close to nature. At Balipara, Assam are available luxuxy Bungalows surrounded by the tes estate at Wild Mahseer property. 16 rooms are available.Contact: +91-3714-234354; 09435197650. Email: wildmahseer@gmail.com. Prashanti Cottage located along the Jia Bharoli River has a total of 19 rooms and provides an excellent view of the river and the mountain peaks. Eco-camp at Potasali, Assam are well equipped with decent facilities. These lie in a forested area. Contact: Camp Director, Eco-camp, Potasali (Nameri Tiger Reserve), Sonitpur District, Assam. Phone Number: 09854019932, 09435145563, 09435250025. Entry Fee: Rs. 20/head (For Indians) ; Rs. 250/head (for Foreign Nationals). Camera Fee: Rs. 50/camera (For Indians) ; Rs. 500/camera (for Foreign Nationals). Boating Charges*: Rs. 350/boat (For Indians) ; Rs. 550/boat (for Foreign Nationals). *Additional charges apply for boatmen. A prior permit is required from Assam Government for Angling in Jia Bharoli.